Jay Simpson chose Onepine Lake so he could fish for trophy walleye lurking in weed beds and rock reefs. 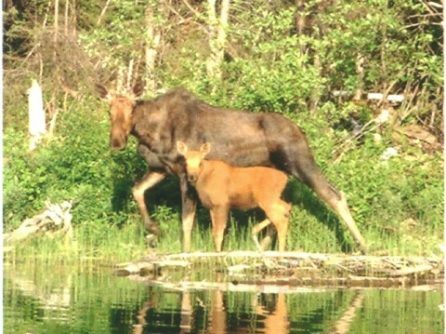 His expectations were met – he released plenty of walleye – and he also had two moose sightings. 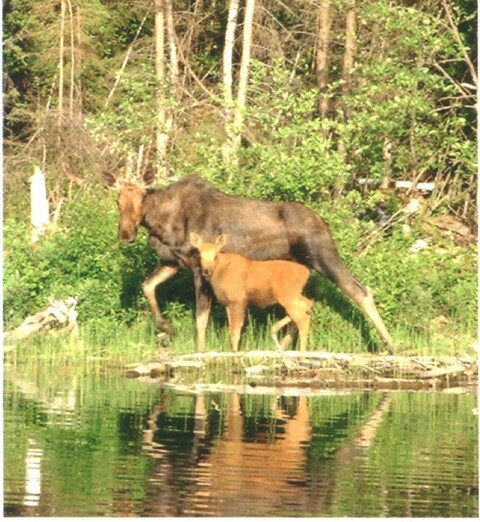 On the way to Strawberry Lake, which is a short walk from Onepine, they caught sight of a bull and cow with a calf. 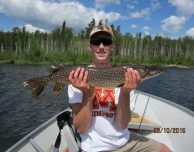 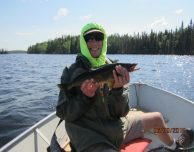 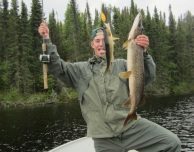 Onepine is located 190 air miles north of our base in Nestor Falls, but once Jay got out on the lake, he didn’t have to go far to catch a nice-sized northern. 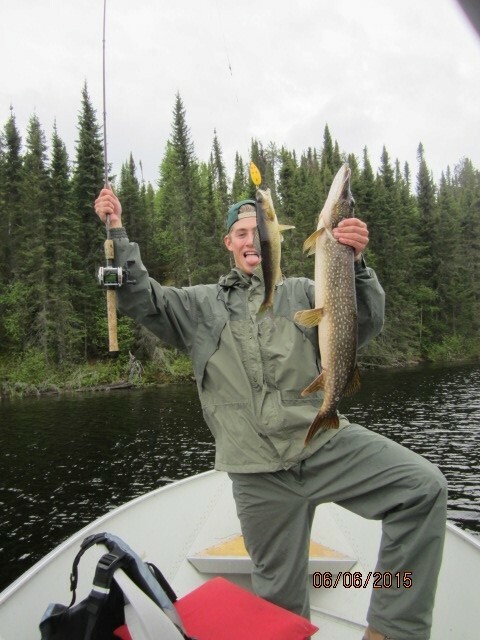 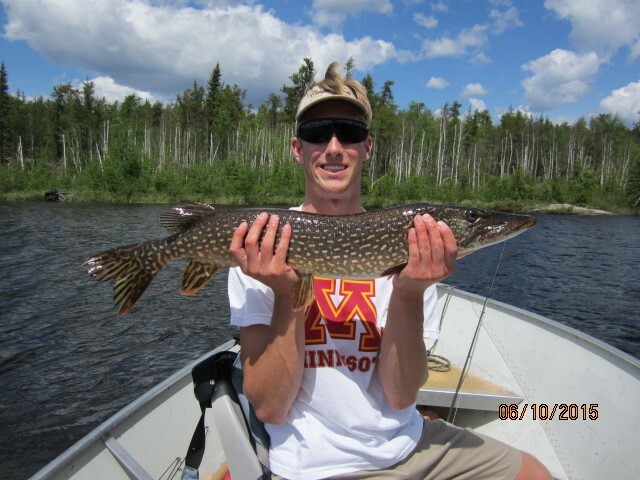 They caught the same 42″ northern TWICE, 30 yards apart!